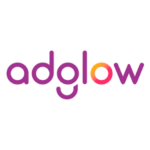 "Adglow is a global leader in digital and social advertising technology and services. We help brands around the world to do more with the wide array of opportunities presented by proprietary digital advertising platforms." Adglow is one of the most important Facebook Marketing Partners globally. Thanks to our trusted partnership and, we’ve seen clients success and scale on both brand and performance marketing activities.